There is an old axiom “Those who cannot remember the past are condemned to repeat it”. That particular saying has been reworded many times and used in various forms but the message continues to be the same. I have never doubted the importance of knowing and understanding our past but I recognize the difference between knowing and being trapped in that past. We are seeing this increasingly in the area of marketing and demographic identification (niche marketing). Niche marketing is the process of breaking down a sector of consumers into smaller groups in order to find your particular customer. The advancements being made in technology and e-commerce has opened up thousands of niche markets. However the old guard of the marketing community is not even close to keeping pace with these changes. They have a model that has worked in the past and prefer to hold onto their history and their accounts. Much like those sixty year old managers and economic developers who prefer to sit it out waiting for their pension. Too many niche markets are being ignored or going unnoticed by mainstream marketing firms simply because they are trapped in their past concepts of marketing strategies. They can charge more for quantity over quality of consumers. This approach traps businesses with a user base that is largely redundant. However the large marketing companies can do that due to the myth of their indispensability. Social media is changing that. The small business owner now has the power of major marketing on their cellphones. Social media and the proliferation of marketing apps makes it possible for local businesses owners to conduct campaigns that only five years ago would have been, not only unheard of, but unaffordable. In todays marketplace by using the right tools any business can have an international customer base with a less than a five hundred dollar investment. That marketing campaign that use to cost into the thousands can now be done for two or three hundred dollars. Not only can you run a very cost effective marketing campaign but you can quickly identify your high return customers. 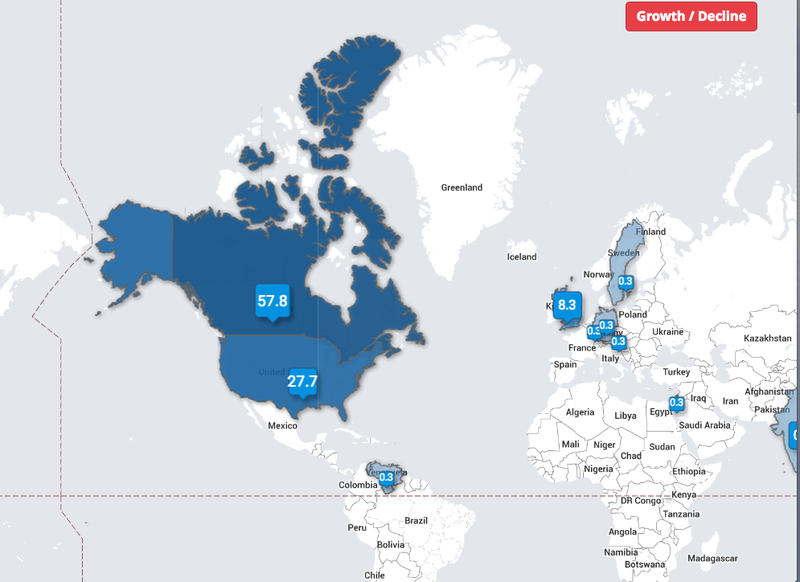 A Tweep Map attached to your Twitter account shows you where your customers are. You can target your marketing at those who fit your parameters rather than hoping the ad in the local news paper or your placement in the mall will bring you the right customer. Using any number of free services or apps you can find your niche customers while avoiding the “window shoppers”. You are in control of your own marketing and can adapt with the push of a button. You are not subject to someone trapped in the past because “that’s the way it has always been done”. You are adapting to the future needs of the consumer and you are positioning yourself for the new generation of shoppers. The failure of Target in Canada is a prime example of a company that couldn’t adapt. 72% of consumers have made their purchasing decision up long before finalizing their transaction. The new business person can learn from the past while adapting for the future. One of the major lessons of understanding the past is those that don’t adapt, disappear. You can either be a manager awaiting their retirement package or a successful entrepreneur adapting to the changing market place. This entry was posted in Entrepreneurship, Social media and tagged e-commerce, marketing, niche marketing, social media, Target, Terry Wiens, trend watching, Twitter. Bookmark the permalink. ← And Yet We Judge!